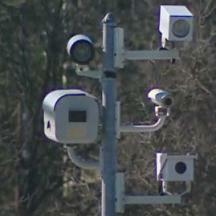 Hyattsville is considering becoming the next town in Prince George's County to add its own speed camera program. A speed camera presentation was made by Police Chief Holland at the town's Feb 7th meeting. The plan would include creating new school zones solely for deployment of speed cameras, just as many other cities and towns have done, which according to the Gazette article would cover "a vast majority of Hyattsville". The City Council would need to first pass an ordinance, then designate the school zones, and then sign a contract with a speed camera vendor such as Optotraffic or ACS. Residents who wish to express their views on the matter can find the contact info for the Hyattsville council and the council meeting schedule HERE.